In the near future, the living and the dead share the same space. Most of the "blue lights" are harmless, witless drones… as lost in death as they were in life. Some want revenge. Some want power. Some even want company to join them in the ranks of the departed. Enter Alice Hotwire, Detective Exorcist. She's the best there is at keeping the peace with the Blue Light beat… And, her fellow officers hate her for it. It's a job she doesn't want in a world she doesn't understand. 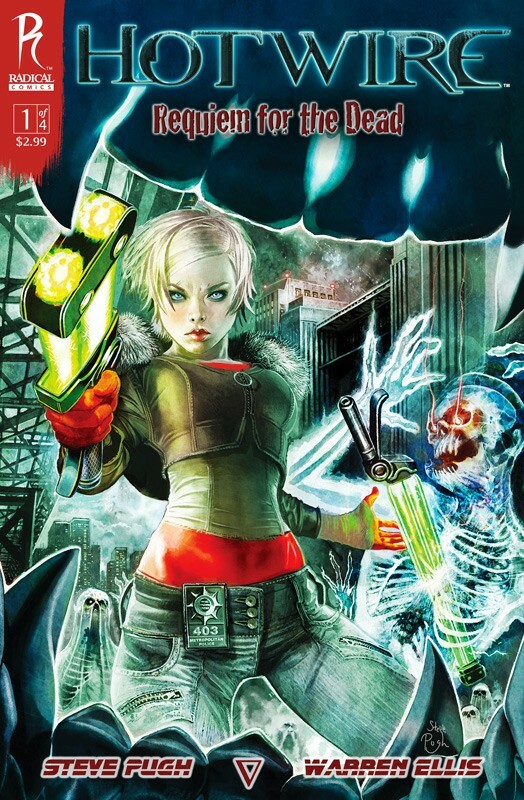 But when a break-in at the maximum security Necropolis sets off a surge of violent hauntings, Alice Hotwire knows she's the only one that can pull the city from the brink of chaos.